� Geir Wing Gabrielsen placed these pictures on facebook about a blue whale he encountered in Kongsfjorden today. It does not happen very often and is a good continuation of the news from 6 June when the Plancius discovered a pod of 85 (!) Greenland whales north of Spitsbergen. The most positive and not believed by many estimate of the population on this side of the world was just 100 after being exterminated by 17th century whaling. 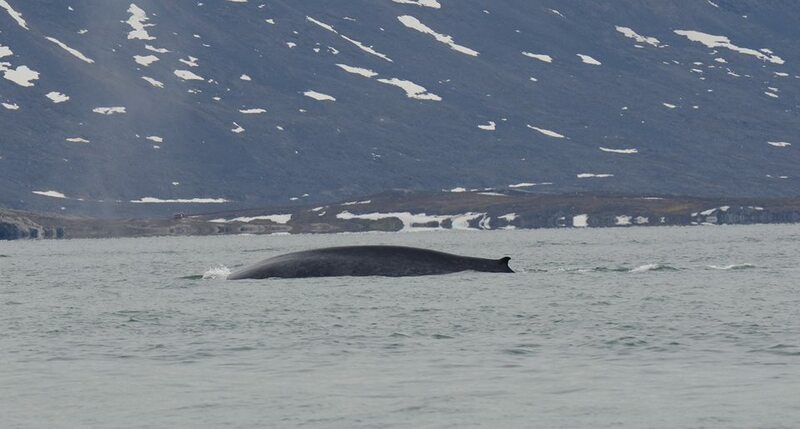 The last blue whale seen in the fjord was in 2007. 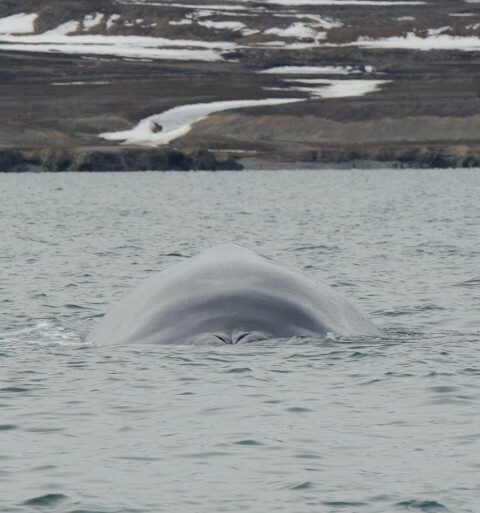 Most blue whales stay about 50 km off the west coast of Spitsbergen. Unfortunately, the people of the Netherlands Arctic Station missed the whale today.